To Rosie, being a wife and mother is a dream come true. Rosie never met her own mother, as she disappeared out of her life when Rosie was only a few hours old. Now, she is married to the love of her life and she has two gorgeous little girls, her life is pretty much perfect. But Rosie soon learns how quickly a perfect life can fall apart, when she returns home one night and her husband tells her that he is leaving her for another, much richer, much more glamorous woman. Rosie is distraught, her whole life is falling apart, but she knows that she has to keep going for the sake of her two daughters. 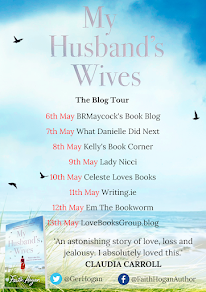 But when Phil, Rosie's husband, wants to spend more and more time with the girls, Rosie realises that she is very close to losing her children as well as her husband. Rosie doesn't know it yet, but the worst is yet to come for her, as she fights her husband and his new girlfriend for custody of her children and her friends, her world as she knows it shatters and Rosie is left with some very tough choices to make. It's not often that a book with so much heart and emotion comes along and leaves me absolutely speechless, but My Husband's Wife did. From start to finish, I went through so many emotions with these characters. I cried with them, I laughed with them and I got very very angry for them. I am such a huge fan of Amanda's books and I have read all of them and each one is better than the last, but for me, hands down, this is her best book to date. I actually found that it was quite different from her other books and I can't really put my finger on why. If there is one author that will make you stop and make you be thankful for all that you have it's Amanda Prowse. She shows how ordinary lives can be turned around by exrtaordinary circumstances. To me, everything about Rosie was real. I felt that I wasn't reading a book, I was sitting there with Rosie going through the ups and downs with her. Every character in this book was so well written and developed beautifully. I adored how Rosie's daughters, Naomi and Leona, were written. They had such an innocent air about them, that every child has at their age. The relationships in this book were so excellently penned, that the chemistry and the friendships between the characters seemed to just ooze off the page. 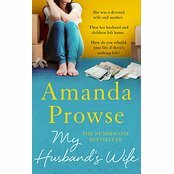 It's not very often that a storyteller as talented as Amanda Prowse comes along and it is easy to see why she is favourite author of so many people, myself included. She just keeps on getting better and better. I adored My Husband's Wife from start to finish, it's so real and heartfelt and filled to the brim with raw emotions. I can't recommend this book enough.